Colour gives you the freedom to be yourself. You are unique and so should be your colour. We are very excited to present our latest project, Your Colour; enhancing natural beauty and individuality through your own personalised hair colour. The campaign was shot in collaboration with Wella’s new colour innovation KP Innosense and continues our move away from the traditional hair campaign. At Servilles we love fashion but we’re not a slave to it. Colour shouldn’t be a generic trend, it should be personalised and make a statement about you. Your Colour has been developed using the new innovation in colour from Wella’s KP Innosense. For years, it has been a challenge for the hair care industry to create a PPD and PTD free colour agent that delivers the quality results yet without potential allergents. Wella has surpassed this by creating a revolutionary new dye molecule, ME+, a molecule that is free from PPD & PTD but still delivers the same luscious results. Olivia Davies, Platinum Stylist at Servilles Mission Bay and Director of the campaign, enjoyed using nature as the backdrop for the shoot as the overall look had more of an undone and raw feel to it; focusing more on the individual’s hair as opposed to putting across a trend. “Colour is so personal because the only time it looks amazing is when it absolutely suits your clients look and lifestyle. Everyone is unique and that should be reflected in their hair.” Rather than focusing on what is popular, we take a more individualised approach to beauty; one specific for each and every client. Olivia created a very natural and individual palette to suit each model using luscious milk and dark chocolate browns, firey golden coppers and soft sun-kissed blondes. 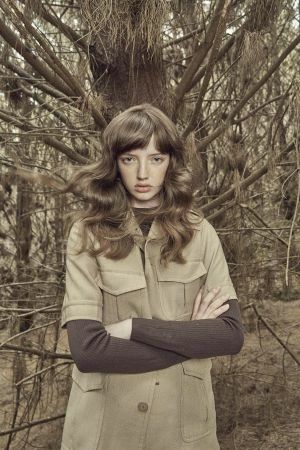 Your Colour uses New Zealand’s beautiful countryside as our backdrop, our models were placed in environments that reflected and enhanced their own natural hair colour and individual beauty. 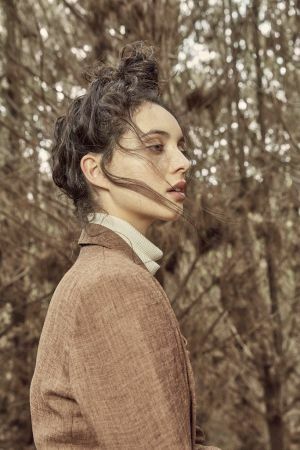 From fields of golden wheat to forests of rich browns and greens, the emphasis is on pulling away from trends and focusing on bringing out natural beauty that matches with New Zealand’s unique character. From April 1st 2015 this new innovative colour, KP Innosense, will be available in all our salons. Click here to make your booking and bring out your best colour with Servilles. Image credits from left to right: Amberley – colour by Olivia Davies, Servilles Mission Bay; Juliette – colour by Ivan Lee, Servilles Mission Bay; Mariska – colour by Olivia Davies; Kitty – colour by Duncan Moss, Servilles Takapuna; Olivia L – colour by Olivia Davies; Marijke – colour by Alice Tucker, Servilles Newmarket.